CLICK HERE TO BOOK YOUR SPONSORSHIP PACKAGE AND/OR EXHIBITION DISPLAY. CRANAplus are pleased to are pleased to invite you to participate as either a Sponsor or Exhibitor at the 2019 CRANAplus Conference being held at the Crowne Plaza Hunter Valley from 18th – 20th September 2019. The CRANAplus 37th Conference offers you an unique opportunity to present your brand, products and services, to Remote Healthcare industry leaders and unparalleled access to a niche group of professionals not generally afforded at other health industry events. Pre-/post conference promotional and marketing opportunities. Exhibitors will have many opportunities to interact with delegates during the allocated breaks throughout the conference. For those that have supported us in the past, we thank you and look forward to seeing you again this year. For the many organisations that have expressed interest in joining us at this year’s conference, we look forward to welcoming you. Please click on each package below to expand the section and view all information. The CRANAplus Conference Dinner is the highlight social event of the conference official dinner of the conference. This is an ideal opportunity to network with delegates and be exclusively profiled at this principle social event. The Welcome Drinks is a popular and important feature of each CRANAplus Conference. The event will include official speeches and entertainment and is an important networking opportunity in a super-relaxed atmosphere. Your sponsorship of the espresso stand will allow you to engage delegates by branding the area with your signage and developing a relaxed café style atmosphere. Increase the exposure of your products and services through sponsoring the always popular Coffee Stand. Two (2) pull-up banners in the coffee area. Logo on each entrants image on the photography competition power point presentation. With more demand from delegates for healthy options, the Juice Bar will give the sponsor a chance to brand the area exclusively with their signage and to network with delegates over a cup of freshly squeezed juice. This is a delicious way to increase the exposure of your products and services through this healthy fresh sensation. The CRANAplus 37th Conference app will be in the hands of all delegates. The app will be available on all iPhone, Android and mobile devices. The Conference App provides delegates with access to the conference program, exhibitor listings, contacts and much more. Sponsorship recognition, company logo, 50-word company profile and link to company website on conference website website and conference app. This sponsorship opportunity offers prominent exposure of your organisation and logo. Each delegate will receive a name badge when they register at the conference. Logo printed on each delegate name badge. 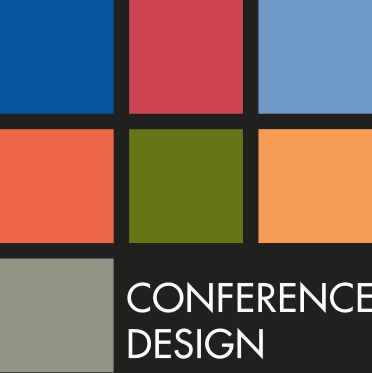 Logo, profile & hyperlink on the conference website. Logo in the pocket program. During the conference catering breaks, delegates congregate around the Catering Stations as they network and eat. This is an opportunity to get your brand in front of all delegates. Sponsors can choose to be the Catering Sponsor for either day 1 or 2 or 3 of the conference. Logo printed on the delegate lanyard. Student *Sponsorship is sought to assist with costs for rural health students to attend, thereby supporting the remote health workforce of the future. The exhibition will run for the duration of the conference with morning tea, afternoon tea and lunch served in the exhibition area. CRANAplus Corporate Members attract a discounted rate to exhibit. Additional registrations and social function tickets can be purchased for additional staff (maximum of 2 exhibitor personnel per pod stand). Pull-up banners are not suitable for this display type. Your display must be kept within the 1m x 1m footprint. If you wish to purchase a digitally printed panel for your display or hire an LCD screen to have mounted to your Pod, this can be arranged directly with the trade exhibition company and at additional cost. All costs are inclusive of Goods and Services Tax (GST) and listed in Australian Dollars (AUD). Bump in details to be confirmed. 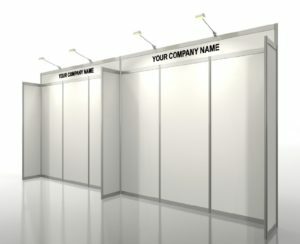 All custom stands must fit within the purchased exhibition space. Custom stands must not exceed 3.0 metres high. If you have any questions please email us a floor plan and elevations of your proposed stand.